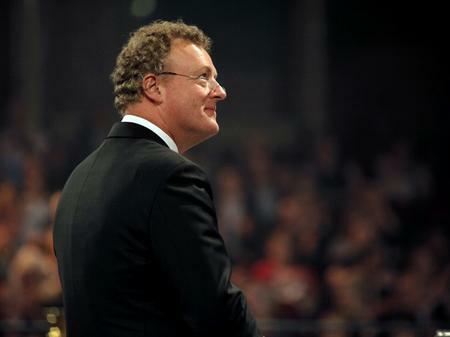 Howard Goodall conducted the performance of Nessun Dorma by Blake, Camilla Kerslake and his own Enchanted Voices. The performance is being mastered into a downloadable single, which will help raise money for The BRIT Trust. It will be available to download from iTunes on Wednesday 19 May. Photo by Simon Fernandez.